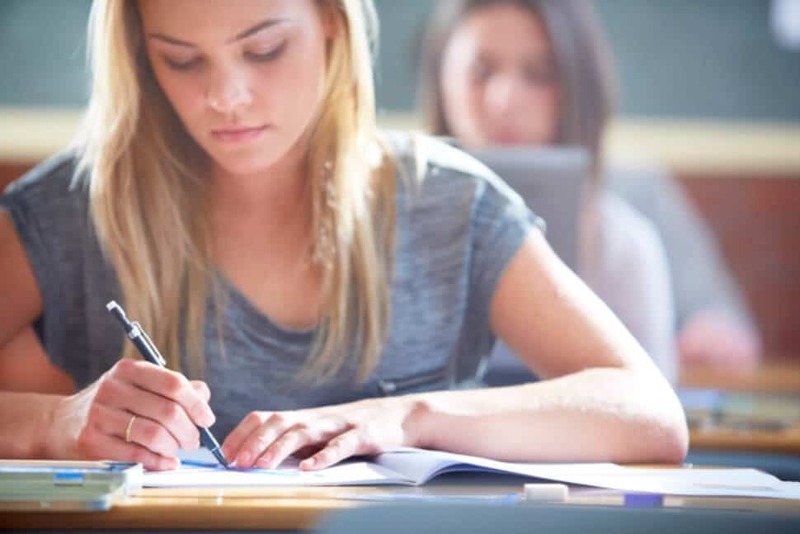 MCAT, score perfection is technically attainable, the merits of perfection on the MCAT and go over some tips on how to get a perfect MCAT score. The new MCAT has four sections, each scored between 118 and 132. A perfect MCAT score is a 132 in all four sections for a total combined score of 528. If you look at the current percentile ranks for the new MCAT exam, you will see that this is no easy feat. Less than 1% of all test takers receive a 132 on any given section of the exam. To get a 132 in all four sections is very unlikely. As a score of 521 is already the 99th percentile, the number of perfect scores is then much less than 1% of all test takers. You may have heard before that a perfect MCAT score is a 45. That is for the old MCAT, which is no longer administered. Just as with the new exam, less than 1% of all test takers got a perfect score on the old MCAT. Find a space for yourself that you will use exclusively for studying. Keep that space neat and free of distractions. Likewise, when you enter that space, automatically adopt a positive, preparation attitude. When you feel positive about studying, it will be easier for you to relax, learn, and retain information in spite of the mental, physical, and emotional challenges you will experience in the months leading up to the exam. Allow yourself three to six hours of study time every day for three to six months. Ask yourself which subjects you find most difficult or the least interesting. Then, start your study schedule by studying those subjects. While old notes from your science classes are helpful in recalling information, an MCAT prep book will help you focus on what you need to study for the exam. Meanwhile, MCAT videos serve as excellent visual tools to maximize your science review. Although you will be studying information that you have seen before, it is important that you take notes on what you need to remember as well as what you are having trouble understanding. Use colored pens, markers, or highlighters to help the information pop out at you. Then, review your notes daily. Reading your notes 24 hours after learning something will help you retain information better. This does not mean you should daydream while you are studying! Instead, spaced-out studying involves studying a topic a few times over a long time span. This has proven to be an effective learning technique and MCAT flashcards are very useful for this approach. Having companions to join you in the MCAT preparation process can be helpful as well as supportive. In fact, research by the Curtin University of Technology suggests that a study group, in addition to your MCAT prep course, can greatly enhance your learning experience. Active reading will improve your understanding and performance in every section of the MCAT, especially the MCAT Critical Analysis and Reasoning Skills (CARS) section. MCAT CARS touches on topics such as ethics, philosophy, cultural studies, population health, social sciences, and humanities. So, you should read more about these topics. You can start by reading opinion articles found in The New Yorker, The New York Times, and The Economist. To read actively, ask yourself these questions: What is the main argument? Which statements prove that argument? Which points undermine that argument? What is the author’s agenda? With just a little bit of searching, you can find a rich supply of free MCAT resources to complement your main MCAT prep book. For your MCAT science review, check out our MCAT Physics Equations Sheet, MCAT General Chemistry Review Summary, MCAT Organic Chemistry Mechanisms, MCAT Biochemistry Review Summary. There are also many free MCAT practice tests available online. Although the MCAT is a grueling exam, you can actually hinder your preparation and progress by over-testing yourself. Many students fall into the trap of over-testing and they find that their practice test scores stagnate. Consequently, their confidence level suffers and they carry that frustration into test day. So, limit the number of MCAT practice tests you take each week to three or less, take notes after each test, and review those notes before taking the next test. Also, take tests in an environment that simulates the setting of the real MCAT. While preparing for the MCAT, you should continue to engage in your favorite physical activities, like exercise, sports, and other hobbies. You should also consider yoga for stress relief. One month before the exam, adjust your daily waking hours to fit the day of the exam. Finally, get plenty of sleep all along the way, as sleep increases your brain’s capacity to retain information. Besides, a lack of sleep today results in a struggle tomorrow. The 10 Biggest College Alumni Networks in the U.S.